Anyone who knows or has done business with Jess and Helen Tubbs at J&H Sewing & Vacuum in Soldotna over the last four decades wouldn’t be surprised to learn that they were the number one Pfaff dealership in Alaska or in the nation for that matter. A-Z Embroidery & Screen Printing hopes its move goes without Rush is moving his 12-year-old Rochester business to a commercial condo at 4481 U.S. 14 N.W. from 7 Ninth St. N.E. The plan is to make the move at the start of November. The basics of hand sewing and marlinspike knot work will be taught at The Apprenticeshop’s next evening marine craft workshop series. Students will make a traditional canvas ditty bag, often the first project undertaken by a sail maker’s apprentice. 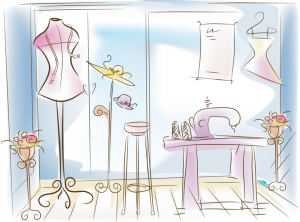 It seems that just about anyone with a good idea and a sewing machine is whipping up a fashion business in Colorado these days. They are creating leather bags and wedding gowns, 1930s-inspired sport coats and fine jewelry, to name a few. 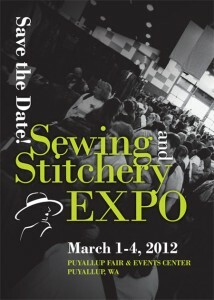 The annual Sewing & Stitchery Expo will be held on March 1 – 4, 2012 at the Puyallup Fair & Events Center in Puyallup, Washington. 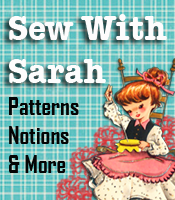 The largest consumer sewing show in America, it is the perfect place for both experienced and beginning sewers and quilters (and everyone else!) to indulge their creative passions or explore new ones. There are more than 400 booths to shop from so you’re sure to find what you are looking for! Online registration will start in January and you can sign up here to receive email announcements. Although the deadline to apply to be a vendor or speaker has passed, you may want to go ahead and get on the mailing list for next year if you’re interested in setting up a booth next year.